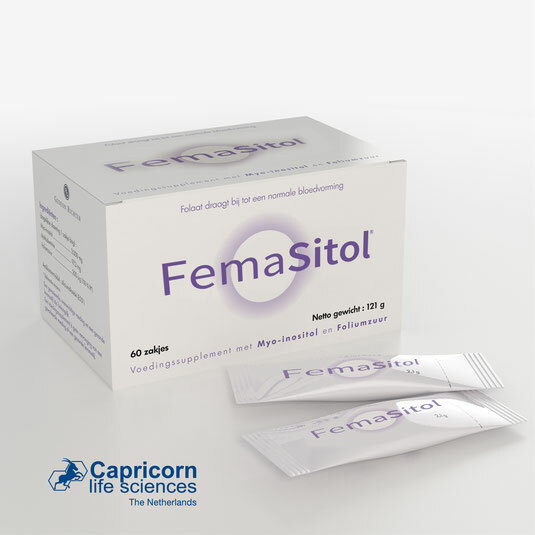 FEMASITOL - De website van capricornlifesciences! FEMASITOL, an extremely well documented product (more than 20 clinical trials), available both as food supplement and as Food for Special Medical Purposes (“FSMP”) containing Myo-inositol and Folic acid that support ovulatory function, oocyte quality and menstrual cyclicity. It may be prescribed or advised before and during the 1st line of drug prescription for hypo-fertility.